Thank you. I’m glad you enjoyed these images. Funny, this great photograph has its duplicate on the other side of the coast in Atlantic City. I can easily imagine this. 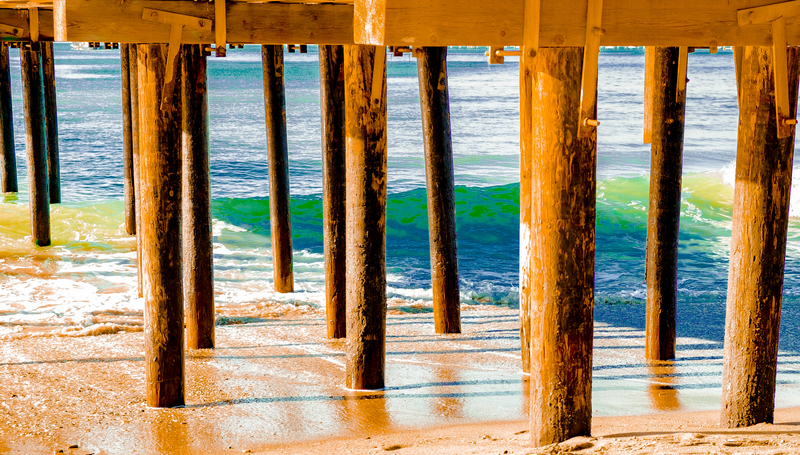 A pier’s pilings are a pier’s pilings, are a pier’s pilings…..
Again such beautiful pictures! Loved them. Beautiful group of photos. I’ve never been to Avila Beach, but have heard about it. Thank you. I found that area of the coast to be very diverse and inspiring in imagery. 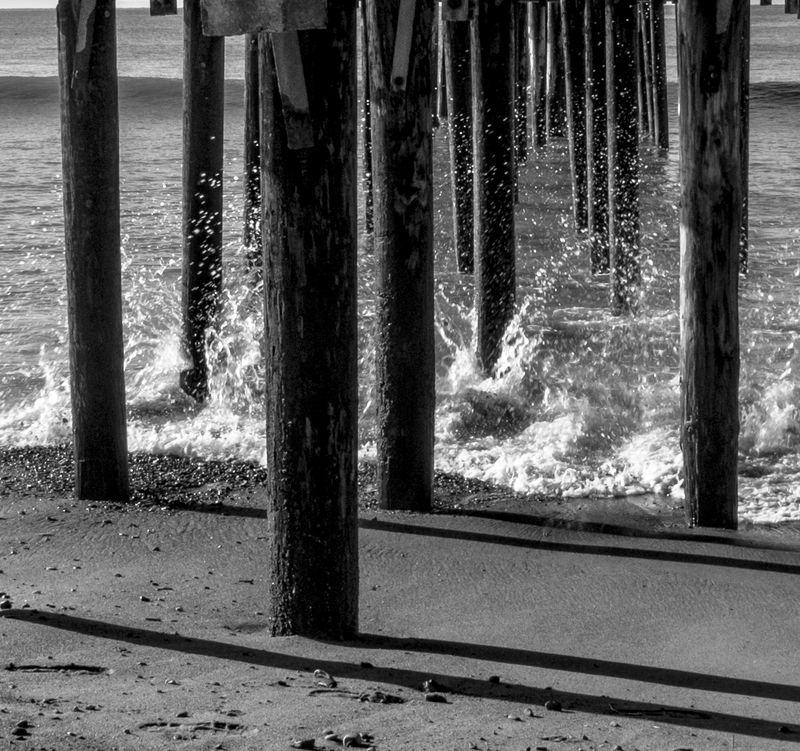 The motion of the waves, the action, makes the pictures come alive. Thank you for your comment, I’m so happy to hear how you experienced the waves. 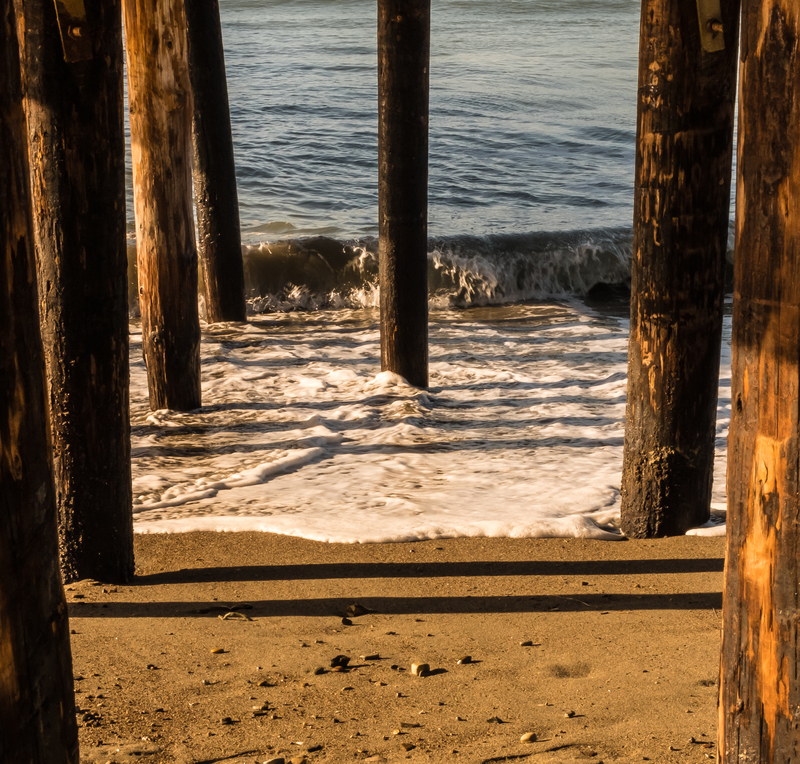 Ah…Avila Beach, one of my favorite places. 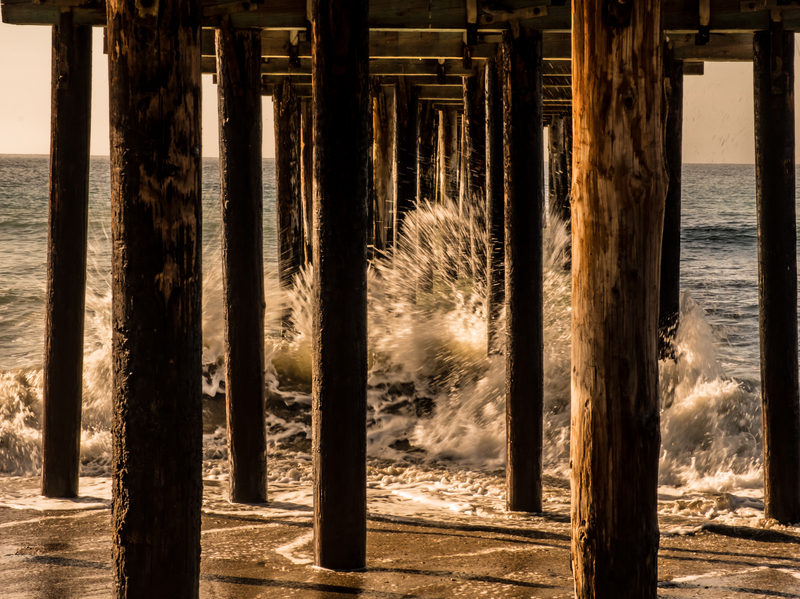 These are magical pictures … so powerful the pilings, the crashing waves, the light. Just bravo, Arati … they are magnificent captures! 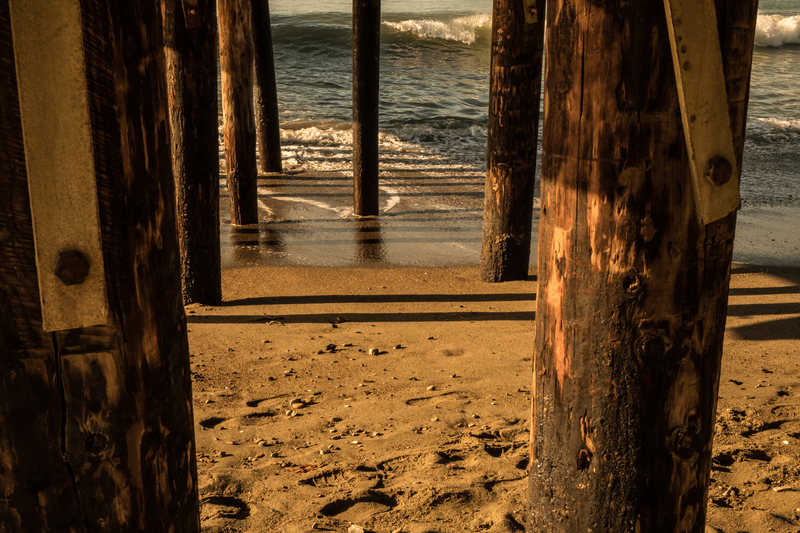 Love this for so many reasons…the perspective of the pilings, the light, the waves. Thank you very much for your feedback. I so wanted to capture and bring together exactly these aspects you mention. I’m glad you enjoyed the images. My pleasure. Being land locked in NE, I always enjoy images of the ocean.